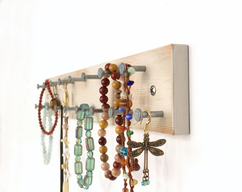 Organize and display your necklaces, bracelets, and more. 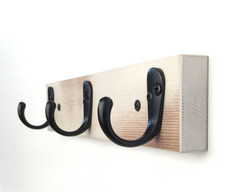 Can be wall mounted next to the bathroom mirror or above the night stand. Unique design can hold at least 7 pieces of your favorite jewelry. 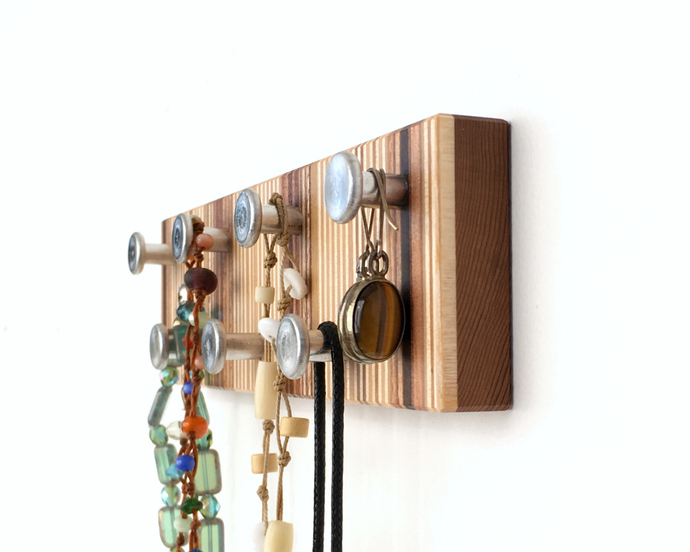 A celebration of varying natural wood colors from scrap. Beautifully sanded and sealed with a light satin clear finish. 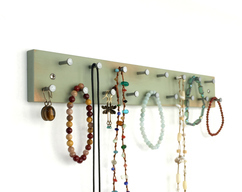 Your jewelry rack will have its own "signature" of random patterns in deep earth tones and contrasting cold metal. 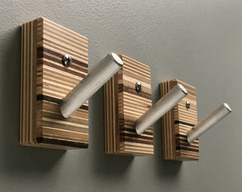 Light satin finish protect and highlights the beautiful random wood pattern.